Established in 2010, there are 23 handcrafted artisan ales on tap in Arcata, and now at a new location in Eureka. Shuffleboard and board games available. Kombucha on tap. There’s an excellent food truck, but feel free to bring in your own food as well. Happy hour 2pm-6pm M-W. 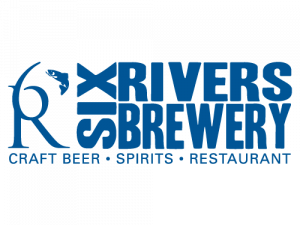 Favorite local hang- out where many of the beer logos have been designed by the kinetic sculpture artist Duane Flatmo. Happy Hour Mon.-Fri. 4pm-6pm. Lunch and dinner. Schedule a free 30 minute tour of their state-of-the-art facilities to learn a bit about the Lost Coast story and brewing process. 12-6pm, call for availability. Adjacent to the Mad River in Blue Lake. The inside/outside tap room is frequented by regulars who enjoy the warm afternoons on the patio. Live music Tue-Sat. Hoppy Hour from 3pm-6pm M-F. Lunch and dinner. Declared America’s first certified organic brewery in 1999. 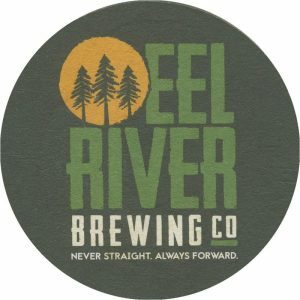 The Taproom is located on the banks of the Eel River. Lunch and dinner. Happy hour 3pm-6:30pm M-F.